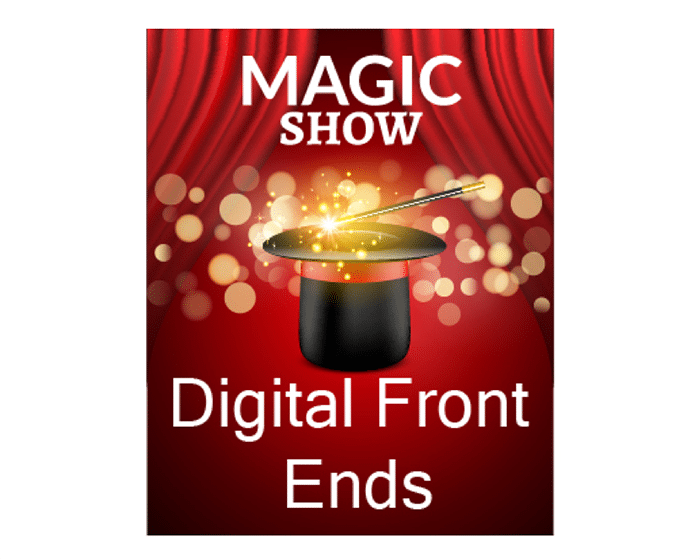 Last summer in this blog the topic of the magic inside your Digital Front End took position front and center. The idea was to start the conversation about a participant in your workflow that you may not think about. For most digital press buyers, the Digital Front End (DFE) is bundled into the purchase of the press, but in some cases, buyers have a choice. For example, you might be offered a vendor-built DFE or one from a partner. Many vendors offer a Fiery DFE from EFI as an option. Let’s go back to features and functions. Digital Front Ends come in many sizes, shapes, and feature sets. A basic DFE might only take in a print-ready file and pass it through to the marking engine or inkjet heads to produce print. The operator may have no ability to change the file or make other quality adjustments. A more advanced DFE might have a wide array of features, from managing color, ICC profiles, and imposition, to handling variable data. On inkjet devices there are typically options for adjusting ink levels and dryer options. If you have a choice of DFE it is worth your time to investigate the features and functions. If you need to handle PostScript, PDF, and PCL, check your options for handling those formats. For people who work with legacy transaction formats, you may find that options for handling those files on the DFE may be more limited, so you might investigate a document re-engineering tool for your workflow instead of making the DFE do the heavy lifting. The take-away is to ask your vendor if you have options, and if you do, take the time to investigate which of the offered DFEs will work best in your workflow. One word of caution about your DFE. Some DFEs are more elegant about how they handle files that are not optimized. Not all document composition engines or word processing products or even creative layout solutions produce optimized PDF. PDF can be, for lack of a better word, overweight, causing the RIP to work harder than it should need to as it creates the file for the marking engine or print heads. If you notice that jobs seem to take a long time to start printing after being sent to your DFE, you may have overweight PDF. There are many ways to solve this problem. We’ll look at some of them in the next edition! Remember, workflow is the infrastructure to your print success, so keep an eye on the processes and keep checking back for tips! Don’t forget to check out the other blogs in this series and stop by my Workflow Blog for the step by step guide on how to evaluate the workflow you have! Pat McGrew is the Director and Evangelist for the Production Workflow Service at KeyPoint Intelligence/InfoTrends. As an analyst and industry educator, Pat works with InfoTrends customers and their clients to promote workflow effectiveness. She also has a background in data-driven customer communication, and production printing with offset, inkjet and toner. Co-author of 8 industry books, editor of A Guide to the Electronic Document Body of Knowledge, and regular writer in the industry trade press, Pat won the 2014 #GirlsWhoPrint Girlie Award for dedication to education and communication in the industry, and the 2016 Brian Platte Lifetime Achievement Award from Xplor International. 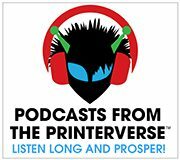 Join Pat and co-host Kevin Craine as they tackle the question Is Print Dead? on their podcast.